CP/M and CBASIC software required to run the system are not included. Simple payroll systems usually involve a combination of automated and manual techniques. Automation is generally applied to the mechanical calculation of the withholding taxes and net pay. Check writing and maintenance of employee earnings data must be accomplished by hand. Because many devices used for automation purposes have the capacity to store the payroll data, cumulative totals can be carried forward to permit the preparation of required tax returns. Payroll preparation does not require complicated calculations. Most of the parameters are defined by federal, state and local withholding charts. Since these charts are usually quite short, they can easily be accommodated in memory and referenced by a table look-up routine. This routine usually converts gross pay to an annualized figure by multiplying it by the payroll frequency. The resulting figure less exemptions is referenced to the various tables to calculate the tax due. The tax is then divided by the same payroll frequency to determine the tax required when calculating net pay. For the current pay period these calculations must be performed for every eligible person on the payroll. A series of parameters is supplied for each employee to determine which tax table is used and which exemptions are to be applied. Typically these are specified on the employee earnings master file. This master file is usually quite long and complex. For example, the employee master file in the SSG payroll system is almost 700 bytes long. The need for such large files limits the amount of data that can be accumulated for each employee. For this reason neither Radio Shack's nor the SSG's payroll system have a detailed employee earnings history. Both systems carry cumulative quarter-to-date and year-to-date information only. This can create a problem if it is necessary to know payroll data by employee for specific pay periods. Otherwise, both payroll systems will do an excellent job of keeping payroll records. function, keys are not enabled. The control key and lettered key combinations are used to allow you to call files or update records. While the SSG system provides payroll withholding tax tables for New York state and New York City, the Model II Payroll package provides the guidelines to generate the necessary tables for all SO states. Payroll data is entered into the SSG system in batches. Although the screen presentation and data entry phase are relatively cumbersome, the number of different items that the system will accept is outstanding. Data such as withholding tax overrides, special payments and expense reimbursements are easily accommodated. The Model II Payroll's data entry screen displays the full gross to net calculation. Changes are easily made to the necessary fields and the calculation is updated instantly. In addition, there is a time card calculator mode which allows you to input daily hours and calculate the weekly hours right on the screen, which is a great aid to data entry. 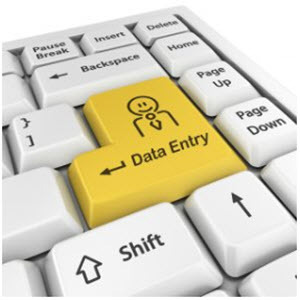 At the conclusion to the data entry phase, a payroll journal can be printed. In the SSG system the data that is entered must be sorted and a batch listing prepared before the payroll can be calculated. From a security point of view, separating the data entry function and calculation procedure is better. In the Radio Shack system it is quite possible to edit a payroll after checks are printed, and reprint a single check. It is not possible to do this in the SSG system. Both systems use a preformatted check. Checks will have to be ordered that are compatible with each system's printing program. Both systems print payroll journals, check registers, and journal entry data. Both can also be integrated into a companion general ledger system. The SSG program differs in handling payroll expense information. In the SSG system it is possible to arrange employee payroll expense in five categories on a percentage basis. For example, if a employee works half his time in design, and half his time in sales, it is possible to distribute half his earnings from a sales payroll category and the balance from a design payroll category. The Radio Shack Model II Payroll cannot. Regular time, overtime, double-time, vacation and holiday payroll categories are used instead. The lack of a payroll distribution by cost center in the Radio Shack payroll could limit its application in firms with many payroll cost centers. The only alternative would be to prepare a separate payroll for each cost center, so that payroll expense can be charged to the proper accounts. However, in environments where an analysis of gross pay is necessary and overtime pay, vacation, holiday and sick pay must be separately identified, the Radio Shack payroll system has a clear edge. In the SSG system these items are not separately identified. They are combined with the F1CA and UIT tax expense in determining the total salary charge. From an accounting standpoint, combining salary and non-salary amounts into a single account is not desirable. To perform a payroll audit the pure salary expense figure must be available for review. Both systems prepare a full spectrum of quarterly and annual reports. In addition, master file printouts and individual employee records are available showing cumulative earnings paid, along with other year to date statistics. The SSG master file also has provisions for accumulating data, such as accrued vacation and sick pay. These statistics are not available in the Radio Shack payroll. The SSG payroll costs SI,250 and is available from distributors of CP/M systems throughout the country. In order to run the payroll, purchase of the CP/M operating systems and CBASIC is required. Because CP/M for the Model II costs S19S and CBASIC costs an additional S100, the total cost of the SSG payroll system is a shade over SI,500. The Radio Shack payroll system costs less than S400 with slightly fewer features. There has to be a powerful incentive to spend the additional SI, 100 for the SSG payroll system. The SSG system represents a mature software system which has already been used many times. The Radio Shack system, on the other hand, is a brand new package. Experience with new software products indicates that there will probably be a "shake out" period before all the bugs are worked out: Bugs can contribute significantly more than Si, 100 of aggravation in an industrial environment. An example of the care in the SSG system design is the use of data files with numbered extensions. If a foreign file gets into the system, the internal number checking of the operating system will indicate that an error has occurred. These advanced techniques are generally transparent to the user, but should an error occur, an error message will appear so that recovery procedures can begin. Considerably more information is provided about the SSG system than the Radio Shack system despite the fact that Radio Shack's has a source code listing. The SSG system is also designed to accommodate additional custom programs. If you wish to write a program to accumulate employee earning statistics, it can be incorporated and selected from the menu. The structure of all files and a complete input and output tracking of each run is provided for programming. This can also be used to aid restart and error correction procedures. While there is no doubt that Radio Shack software will also include this data at sometime in the future, the payroll documentation package is not there yet. It is a good bet that as Radio Shack software is distributed to more commercial environments, the documentation and system controls will eventually evolve to the same level as the SSG system. The features of the two systems are similar in many respects. Both calculate deductions from employee wages for federal income tax withholding, Social Security, state disability and state and local income tax. Both systems allow you to preload the employee payroll earnings record with information that remains constant for each pay period. If there are no changes, payroll calculations will be automatic. Default tax rates for FICA and federal withholding tax tables are also provided by both. The Radio Shack payroll will not handle local income taxes, if withholding is based upon a table. It will only handle local income taxes if the withholding amount is calculated as a percentage of gross pay of Federal Tax. FOR YOUR MODEL I or MODEL II. All Software Mart Programs arc sold on an as is" basis and with "All Faults" Pncas and programs are subjacl to chang« without notice. Magic Wand™ is a Trademark of Small Business Applications, Inc. These 7 flight simulation programs can take you aloft, into the realm of powered flight. We're Instant Software—Fly Us! May, 1941—The dreaded Axis battleship, the Bismarck, has broken out of the North Sea and is now somewhere in the North Atlantic. Your mission is to make a nighttime photo reconnaissance flight over the Bismarck. These photos will help the Admiralty determine the extent of damage done to the Bismarck in a previous battle and whether the British fleet has a chance to sink the German pocket battleship. The Night Flight program lets you take-off, fly, and land a propeller driven aircraft. You can practice approaches and landings with a full on-screen display of the landing field information. 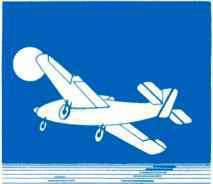 The instructions with this program can practically teach you to fly. Somewhere out on the cold, gray North Atlantic, the Bismarck tries to elude her pursuers. Your photos are vital. Launch yourself into the night sky with the Night Flight package.